What Paul Thomas Anderson takes most from Jonathan Demme, is the fact that in most of his films, especially in Something Wild, he shows an interest in all the people, from the main characters, down to the smallest extra part. You watch Something Wild and you want to know more about ‘Sister’ Carol East as the waitress/singer at the end, Tracey Walter as the liquor store owner that Melanie Griffith steals from, John Sayles’ cop, Kenneth Utt as “Dad,” John Waters as the car salesman, etc., because it appears that if he had the chance to make a 10 hour, Altman style movie, Demme would go off and tell each of their stories. They all have lives outside of the scene we’re watching them in, and those lives are just as interesting as what we see Ray Liotta, Griffith and Jeff Daniels go through. Just think of the look that Daniels’ business associate’s pregnant wife gives to Daniels at the reunion when she sees him with Griffith, compared to how excited the husband seems to be that he had the balls at all. Imagine the conversation they had later on about that, or how it changed their perception of the safe lives they’ve chosen. On top of that Something Wild is filled to the brim with great music, but not intrusive, much in the way that PTA uses it. Those who skip Stop Making Sense are mistaken, because even if you don’t like The Talking Heads, the performance is what is exceptional, the energy and the imagination especially. You get in the mood right away as Byrne plays a dialed down version of Psycho Killer accompanied by a boombox, as they build the set behind him, all the way to him dancing a duet with a lamp. It’s also the best Burning Down the House has ever sounded. 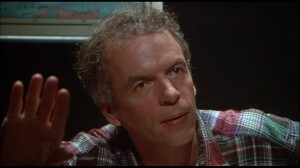 Demme’s Swimming to Cambodia is the best technically of the three Spalding Gray films, but Monster in a Box is the one that clicks with me most, because of what the monologue is about. Despite Nick Broomfield being one of the least talented filmmakers working today, he lucked out, because Gray talks extensively about the struggles of writing a book, knowing when to stop, and knowing how to develop a story further, which, to me, is more interesting than “The Ugly American who pretends he isn’t” interpretation of a 3rd world country in Swimming to Cambodia. I still own and enjoy all three films though. Silence of the Lambs is simply the best edited Hollywood movie in 20 years. While the story is quite mechanical, somehow, Demme and his crew managed to squeeze the maximum amount of information into two hours worth of movie, without it ever seeming overloaded, or obvious with the exposition. 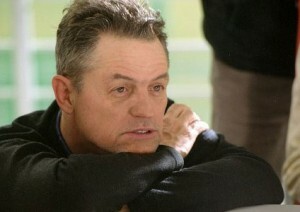 While Demme often has actors stare right at the lens, this is where it works least self-consciously, because the actors have a lot of long speeches to give, and background to reveal, and there is nothing like listening to someone just tell a story without the need to interrupt with flashy cutting or worrying about the audience getting impatient (think of Harvey Keitel’s christmas story in Smoke, and how much more interesting it is to hear Keitel tell the story, rather than the visualized version we get over the credits). Sure, the movie is creepy, and gory, but what he manages is far more than that, because any of the actors could have gone over the top, especially when left naked to present themselves without tricks, just staying in the moment without worrying about failure. 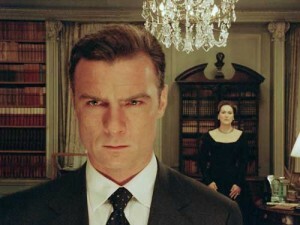 I’m trying to figure out the purpose of Demme’s Manchurian Candidate remake, other than as an obvious indictment of corporate greed and minimal update on how easily “influenced” politicians are (these guys all cower over Meryl Streep threatening to “bury” them on the senate floor, so they just give Liev Schrieber the nomination? An embarrassment on C-Span3 is probably worth the trade-off). Streep has opportunities, but she is undermined by the script. She walks off with a dinner scene simply by chewing ice, but Demme blows it by having her close the scene with a clichéd line about how Washington’s character “may be nice, but they describe serial killers the same way.” And though there is a tremendous list of character actors, from Ted Levine, Miguel Ferrer, Jeffrey Wright, Jude Ciccolella, Dean Stockwell, Bruno Ganz, Charles Napier, etc., only Jon Voight made any impression, because the rest of the parts are faintly cameos, with no interesting dialogue. Demme’s usual flair for using his stock group is overshadowed by the plot mechanics, which never stop moving for little moments to remember. By the time the cop-out conclusion arrived, I was itching to listen to the commentary to give a hint as to when the hack version of Demme arrived on the set to give us such an uninspired, workmanlike thriller. Granted, I am a big fan of the original and had a hard time dealing with them as separate films, but there were no improvements made, except for perhaps the deletion of the goofy Sinatra/Henry Silva kung fu scene in the original. I guess Demme couldn’t find a believable way to pit Denzel against Miguel Ferrer (or some henchman equivalent) in hand-to-hand combat. 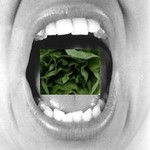 This entry was posted on Wednesday, January 21st, 2009 at 8:52 pm	and is filed under Action/Adventure, Comedy, Drama, Horror, Thriller. You can follow any responses to this entry through the RSS 2.0 feed. You can leave a response, or trackback from your own site.